Gautam Gambhir was seen in a new avatar during India and Australia first T20I on Wednesday. 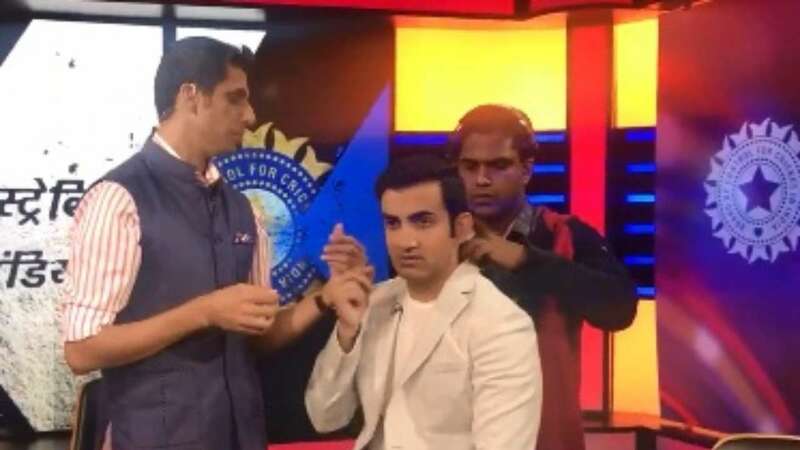 The veteran Indian cricketer took the role of commentator for the first time and he was accompanied by Ashish Nehra, fondly called as ‘Nehra Ji’. Chasing 174 runs, India needed 13 runs in the last over. But Marcus Stoinis defended the score as he dismissed India’s most reliable batsman at the crease Dinesh Karthik.